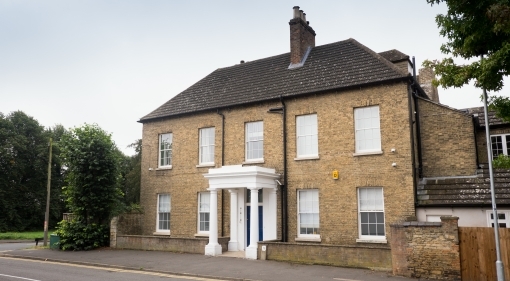 The practice is located at 63 Church Street, Stanground, Peterborough PE2 8HF. Follow Church Street North to the right hand bend adjacent to St John the Baptist church, we are just to the left of this bend in the building that was the old rectory, and more recently the Polish Ex Servicemans Club. We have our own extensive car park, reserved for the use of patients and residents. The Clinic entrance is to the rear of the property up a small flight of steps. If you have restricted mobility or require wheelchair access please go to the front door where level access is available. Appointments outside these hours may be available by request.